How to Have a Work. Life. Blend. Balance is BS is an unflinching and honest look at the challenges that today's working woman faces in balancing her professional and personal lives. In the United States, women comprise over 40% of household income. Increased gender diversity in the modern business landscape continues to have a positive impact on bottom lines and revenue reports across the economy and offers significant benefits for ambitious women in the workplace. This increase of women in the workforce does present a serious problem--women are working longer and harder outside of the home, but their workload has not lessened inside of the home. While their career prospects rise, expectations of our family and personal lives remain flat. Women pursue the mythical "work-life" balance and feel guilty for not reaching it. There is a better way. 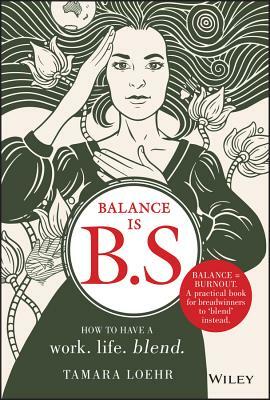 Balance is BS is an invaluable resource for working women regardless of profession, experience, and status. Author Tamara Loehr draws on her years of entrepreneurial success to share her proven methods of merging work, play, and family to map out and reach the life you actually want to live.